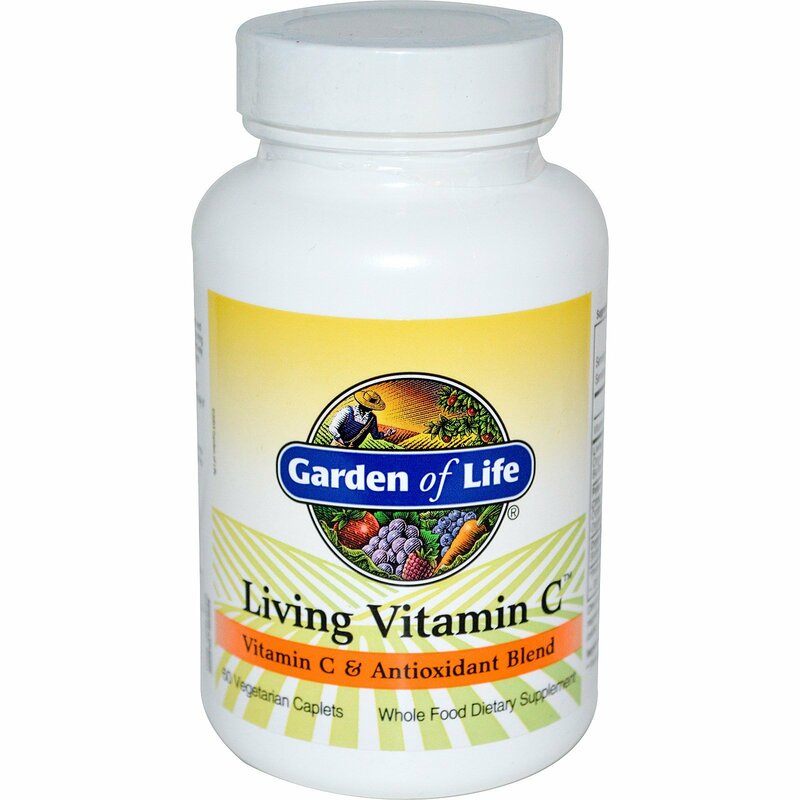 Living Vitamin C is made with whole food ingredients and provides an excellent source of vitamin C. Naturally occurring citrus bioflavonoids enhance your body's ability to effectively utilize vitamin C, plus an Organic Antioxidant Berry Blend helps protect your body against free radical damage. Adults may take 2 caplets per day with water. Not intended for children. Microcrystalline cellulose, sodium croscarmellose, magnesium stearate (vegetable source), silicon dioxide, vegetable coating, probiotic cultures, maltodextrin and yucca. 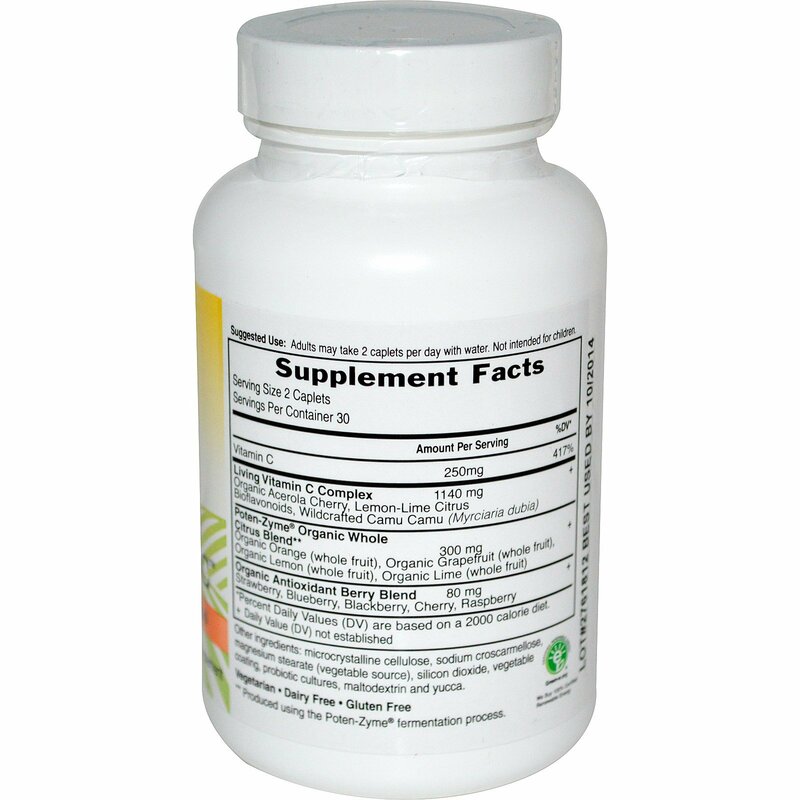 This product is made with natural ingredients. Contains no artificial colors or preservatives. Color may vary from lot to lot. Store in a cool dry place. ** Produced using the Poten-Zyme fermentation process.